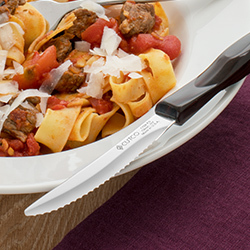 Set, serve and dine with Cutco Tableware. 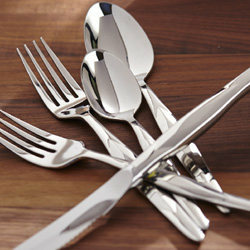 Shop a variety of table knife sets, and high-quality stainless flatware place settings and accessories to add everyday elegance to your table. With different sets and styles, you choose what speaks to you. Comfortable for everyday use. Beautiful for any occasion. Available in three distinct styles. 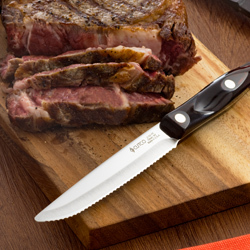 Table Knives and Steak knives feature Cutco's exclusive recessed cutting edge, for effortless cutting. After a large get-together, cleanup is a breeze. Backed by The Forever Guarantee, all tableware will withstand generations of use.